Grishma, accompanied by her father and four month old baby, boards the train to Delhi to join her husband Praveen. She decides to give him an unexpected visit. Little does she know that her journey will end in havoc to her life. 19 years later, Grishma's daughter Jyothi, longing for her father's love and support, determines to search for him, despite her mother's strong protests. Will Praveen accept her as his daughter? This is the story of Jyothi's pursuit of parental love, which she considers as her legitimate right. As soon as the bell rang Jyothi became nervous. All this time it seemed an eternity before she could meet her father in person, but now when the time has really arrived she was not sure about her feelings. Was she afraid of meeting the unseen father for the first time? Was she eager to meet him now? Was she angry with him for leaving her alone with her mother, all these years? Unknowingly, her eyes brimmed with tears. She walked with Vidya and Meena to the gate. She could hear her heart beating fast. She spotted a new handsome face behind the gate, a few feet away, standing alone from the crowd - a tall figure, with a smile, holding a Reader’s Digest in hand, and looking at her. "My baby!” he whispered, at the moment their eyes locked. All her fears vanished. Like a magnet Jyothi ran to him and said, 'Papa' and clung to his extended arms as though she was a little girl who was running away to a safer place to hide. For a moment, she forgot about the surroundings, and tears rolled down her cheeks. After a minute or two, she recomposed and released herself from his embrace. Her father wiped away her tears as her friends still watched the emotional scene and wiped their tears of joy. She never thought she could run to him with absolutely no hesitation. The other girls of the College also wondered at this unusual happening in front of the College gate. Jyothi had hundreds of questions to ask her father, which she had been preparing for a long time to ask him. However, now it seemed there was no need for words to communicate with him at least for a while, standing with the man whom she couldn't call Dad all these years, and whom she secretly loved and worshipped. As though as a second thought, she smiled at her friends whom she had left ignored for a while in the presence of her long lost father. "Papa, meet my friends Vidya and Meena. They’re my best mates, who had always assured me that I'd be able to meet you one day,” she proudly turned to her father. "Hello children," he gazed at them with a smile. "We're glad that Jyothi has got her father now,' said Meena. 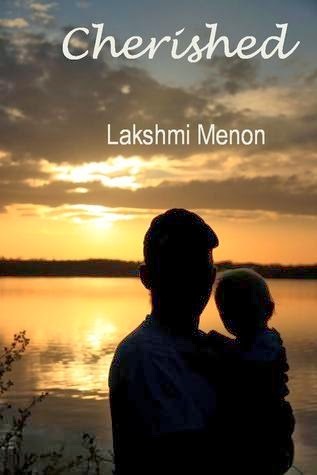 Born and brought up in Kerala, Lakshmi Menon, after her primary education, moved to Karnataka where she did her graduation(BA) and courses in Journalism and Creative Writing. Even while working with a prestigious medical institution, she continued her passion of writing on her free time. Her short stories, articles, children’s stories and travel articles have appeared in magazines, newspapers, anthologies and on the internet. She has authored a novel “The Second Choice” and few children’s books. In Malayalam too, she has written a serial novel and a few short stories. Travelled widely and settled in Bangalore, Lakshmi is the Founder and Editor of the popular eMagazine Induswomanwriting.com, which showcases the work of both the amateur and published writers.